This is the easiest review I’ve ever written. That’s pretty much all I need to say about it. Seriously! 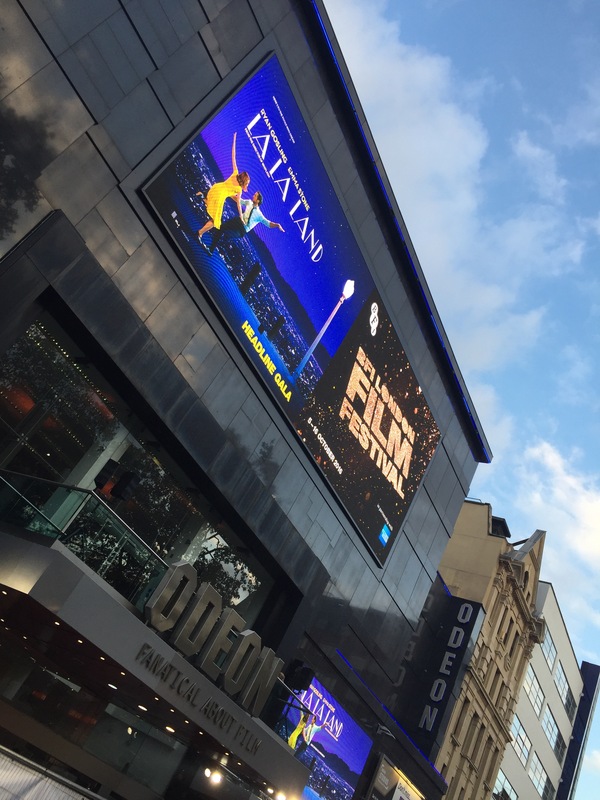 I went to see La La Land with my lovely friend Maddie *waves* who had purchased tickets to the London Film Festival in October as a BFI member and had a spare. I jumped at the chance to go see one of the most talked about films of the festival and see it before everyone else! 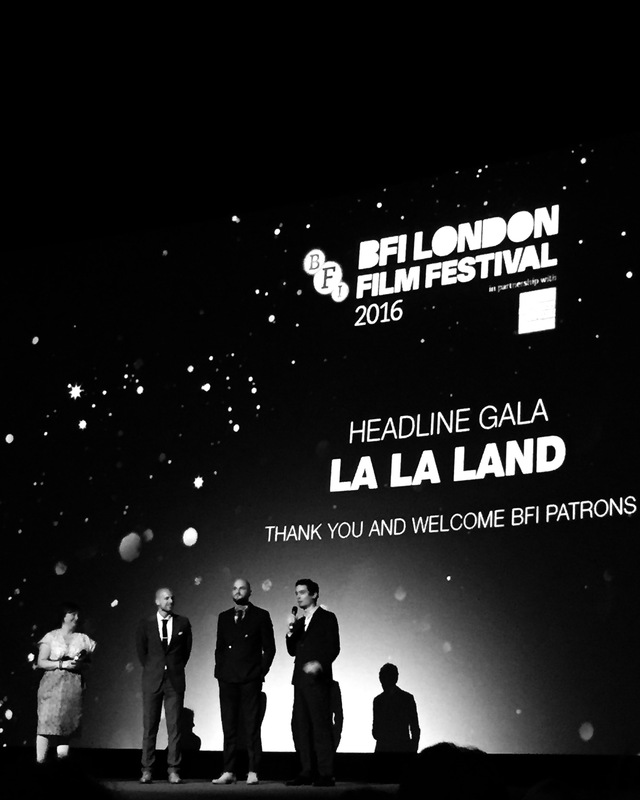 Check out this video from the BFI’s London Film Festival premiere and you might spot me and my lovely blonde friend Maddie just behind director Damien Chazelle’s shoulder at 0:52. I’m looking down at my phone filming this video… as Maddie rightly put it, it’s very meta! These days everything seems to be turning in to a musical. This isn’t just your everyday, regular musical though. It’s a modern musical that acknowledges the fine history of musical films but puts it in contemporary settings and themes and the music, dancing and singing enhances the experience. There’s a richness to the colours in the costumes and sets with jewel tones throughout that are such a beautiful change from the usual seedy portrayal of Los Angeles – it almost makes me want to spend time in LA – shocked face! Emma Stone and Ryan Gosling shine in this film and I’m genuinely not surprised to see them do so well at the Golden Globes. Stone’s performance in particular is funny, heartbreaking, lovable and relatable. Ultimately, this film is exactly what we need right now. It feels like the apocalypse is coming and horrors from the cinema are unfolding before our eyes on a daily basis. The escapism offered by the movies is very much needed now. If you don’t leave the screen with the unbearable desire to sing and dance your way home (like I did-twirling through Leicester Square tube station thanks to a wonderful saxophonist) then I suggest you are most likely dead/nearly dead/mostly dead and require a heart and soul transplant STAT.